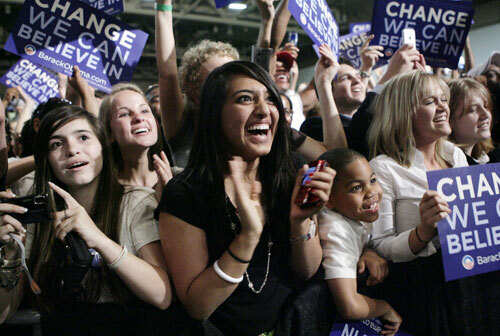 The Nation presents images of a unique moment in time: when America’s youth rallied and organized in record numbers for the 2008 election. 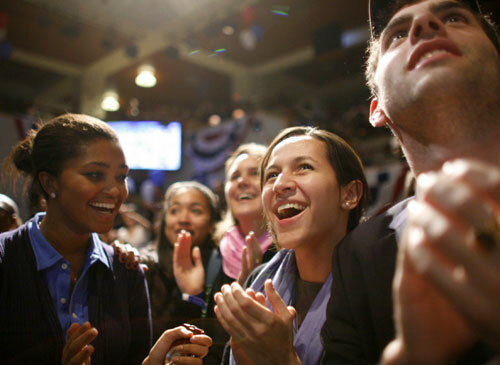 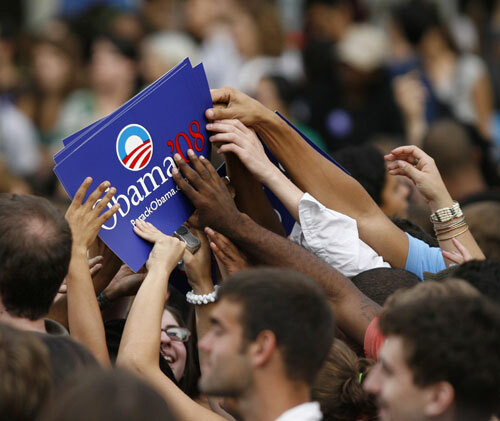 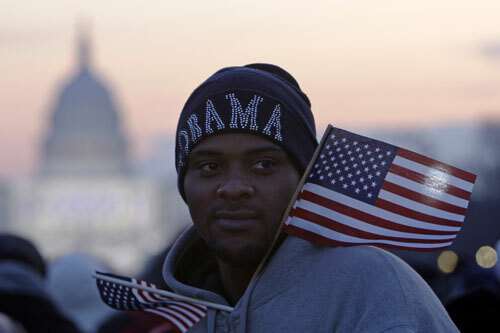 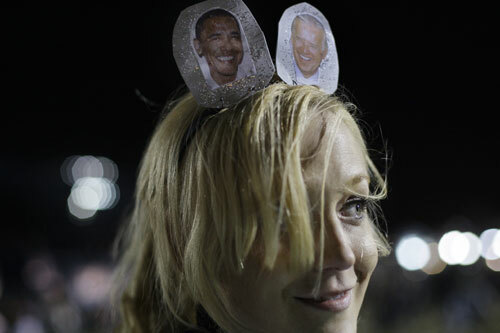 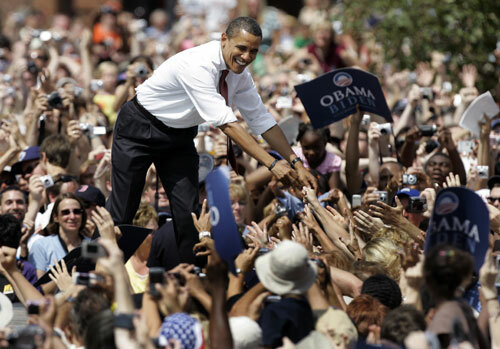 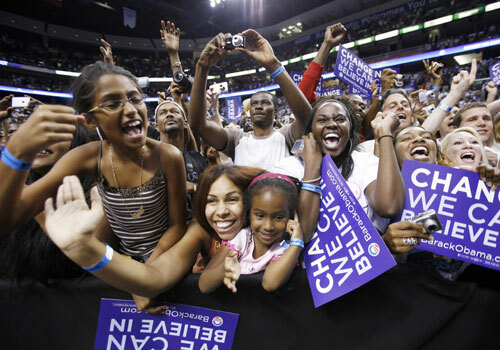 A year after Barack Obama’s triumphant victory in 2008, optimism has often turned into stress and disappointment–both for the new president and for the young generation that helped elect him. 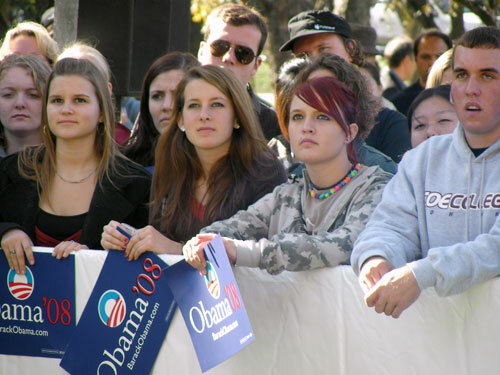 Much like the president himself, young Americans are now faced with an economic reality that makes “hope” seem like a hobby and “change” seem like a distant dream. 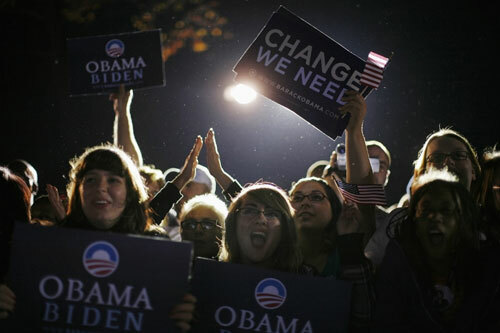 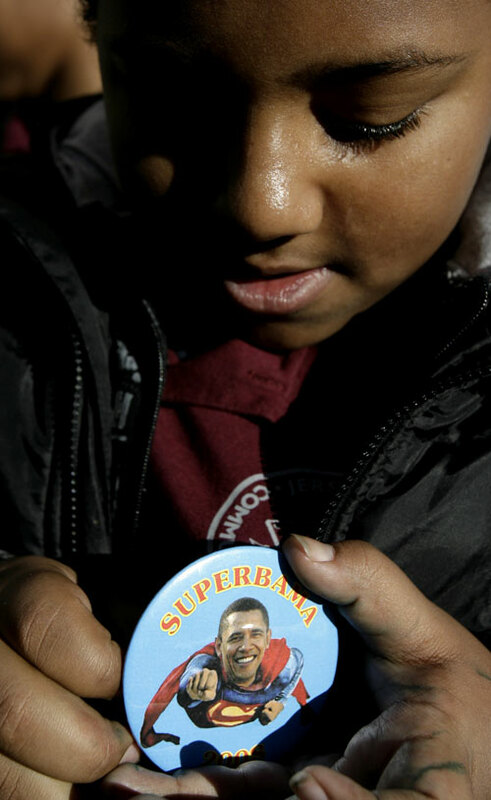 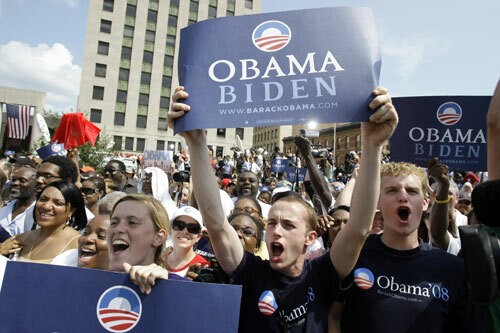 But the memories of Obama’s inspiring campaign–and of that historic election night–are still fresh in the minds of many of his young supporters. 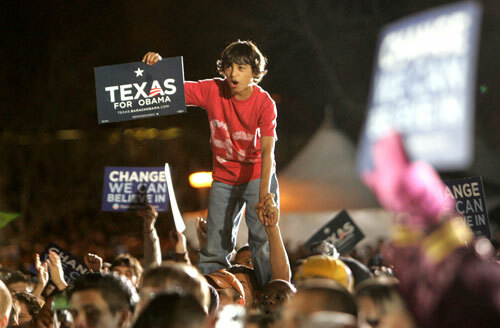 The Nation presents images of a unique moment in time: when America’s youth rallied and organized in record numbers. 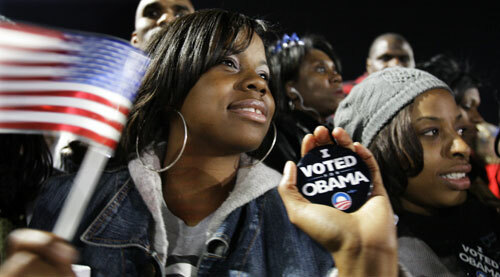 We hope they will turn out and remain engaged in future elections.